Part of the 'Sharing Heritage' articles. The Club was very forward thinking in much of its early life. 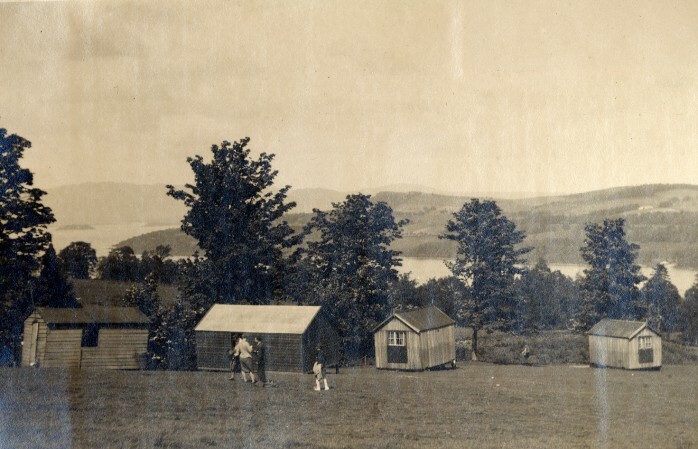 Before the arrival of S.Y.H.A Hostels it purchased land near Balloch in order to build its own camp, complete with accommodation, a cook house, a common room and a swimming pool! On April 24th 1926 the official opening of the Drumkinnon Camp took place , and brought into the intineries of Group rambles Carmen Hill , Ben Bowie and Luss Hills and the Islands of Loch Lomond . A full moon ramble led by Matt Kincaid was another innovation at that time . Get out a map and you will find that the centre is ideally placed for planning excursions one and half hour walks takes you to the moorlands of Criagendoran and steamers to the Firth of Clyde , the steamer service on Loch Lomond enables you to explore The Trossachs and Rob Roy country ; on the west side of The Loch is the Cobbler for the strenuous tramper . We are fortunate in its location; the wild moorland to the west an south , the lovely Loch Lomond to the north , and a new vision of Dumgoyne and the Campsies to the east – but I cannot hope to describe the beauties of Drumkinnon , you must come and see it for yourself . A new cook house is being erected in time for the coming season . This should prove a welcome addition , and it is hoped that the enterprise of the committee will be backed up by the members of the group . Drumkinnon Camp was THE focal point of the Groups endeavour . From the two bell tents and a seemingly drunken hut was created a sophisticated camp . Robbie and Big Eddie led the labour force and Harry Culley wielded the paint brush with equal liberality on walls and overalls , Bert Dean brought six hampers of ex railway crockery , from coffee sets to soup tureens , which lasted years in normal use and also provided "dollies" for the "shies" at the garden fetes . Here Dan McKinney came into his own as master of works . Working undisturbed by talk while others rested on their shovel, Dans resignation was regularly tendered but ignored . The lassies made cutains and filled mattresses , while "The Berrie Girls " created a diversion ! If only the Colquhuon stone could speak ! Talking about camping at this season Jan ’28 will probably send a shiver down your backs’ and make you think of an easy chair by your fireside ! But come and see what our Loch Lomond retreat can offer you at any season of the year . Work has been going steadily since the summer season ended. The bathing pool has been enlarged and deepened , and now nearly ready for cement .If you can swim you will enjoy it ;if you cannot swim we teach you . If you like golf , the field is at your disposal , if you read , a chair at the fireside is offered to you . A series of very interesting rambles has been worked out , whereby you will see the finest countryside round and about Loch Lomond . Why not spend your summer holidays here ? Write to me for particulars . The accommodation at the Camp has been enlarged , and there is now ample room for 16 members . We are at present building a library , and if members can contribute books we will be delighted to have them. A final word . All members of the Club are cordially invited to use the Camp as much as possible ; it is a splendid opportunity of making friends and enjoying to the full the beauty of world famous Loch Lomond . Full particulars of the new arrangements will be learned from the 1928 Camp Syllabus . Matt Kincaid , Camp Secretary . 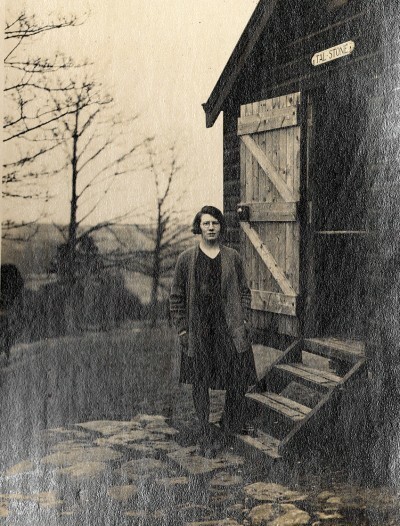 On Saturday June 22nd 1929 the new common room hut at the Camp of Glasgow Fellowship was formally opened by our President Isa Dufferin . Introduced to the assembled company by Mr Ed Millar the leader of our club referred in a few well chosen words to the activities of the group and the way in which the work had gone ahead. To the accompaniment of many camera clicks the door of the hut was unlocked and the common room declared open . To conclude , the President received a framed picture of the camp . Members are required to refer at all times to this hut by its propoer name " TAL-Stone" This word is a combination of the names of the two leaders of the national movement . TAL stands for Thomas Arthur Leonard the founder of Holiday Fellowship and Stone the name of our present General Secretary . To our newer members the story of the Fellowship is not known . I advise them to ask any of the members of longer standing to give them the story of the formation and growth of the Fellowship. It is an Inspiration , a story that will make you keener than ever to help on this good work . Come and see Tal -Stone ! You will be sure to find congenial companionship and a hearty welcolme, Ed Millar , Camp Sec . Glasgow HF Outdoor club has been supported by a grant from the Heritage Lottery Fund. Thanks to National Lottery players, we have been able to release a book celebrating 100 years of existence.